How much better would life be if you felt more confident about how to parent your children through divorce? There is no shortage of well-intentioned advice when you’re going through a divorce. Seems everyone has a story or an opinion to share. Not mention, the endless amount of information you can find on the web. Feel overwhelmed? Not sure who to listen to? Ever wish you could just cut through the chatter and realistic solutions that mesh with everyday life? “Clear and practical, reassuring and positive." “The most comprehensive and thoughtful book on parenting I have seen..."
“This is the perfect resource for anyone coping with divorce." “Points out how children feel." “This is THE book I've been searching for for the last 3 years of my separation/divorce!" 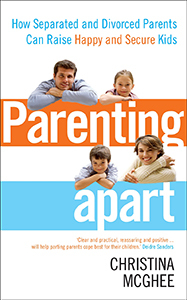 PARENTING APART offers you quick and easy access to the information you need to tackle tough co-parenting problems. Instead of reading it cover to cover, this book was designed to be “parent-friendly” and gives you the freedom to pick where you want to start. > DEALING WITH A DIFFICULT EX? Go straight to CHAPTER 21 and find how you might be making it worse. > WONDER IF IT’S NORMAL FOR YOUR CHILD TO FEEL SO SAD? CHAPTER 26 outlines how to recognize depression and what to do when you feel sad too. > NOT SURE WHAT TO SAY WHEN YOUR KIDS ASK WHY? CHAPTER 14 walks you through how to honestly answer why without giving kids more information than they can handle. 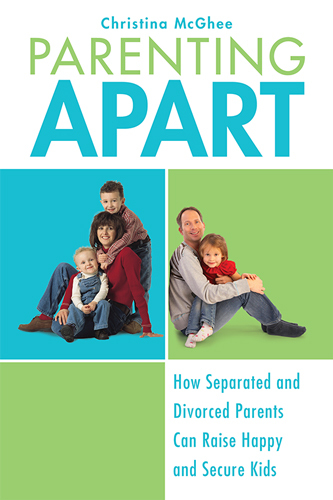 Comprehensive and empowering, PARENTING APART is filled with practical, effective ways to minimize the effects of divorce for your children while strengthening your relationship with them. Offering immediate solutions to the most critical parenting problems divorce brings, this book provides tips and insight on every aspect of coparenting. Still not sure if it’s the book for you? Read what professionals are saying. 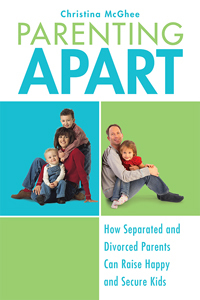 “This indispensable resource should be placed in the hands of every separated and divorced parent. 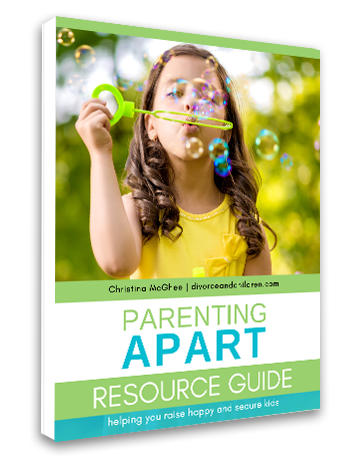 Whether you’re in the early stages or further down the road, Parenting Apart provides critical insight and easy to use strategies." “Clear and practical, reassuring and positive – will help parting parents cope best for their children." “A terrific and comprehensive guide. 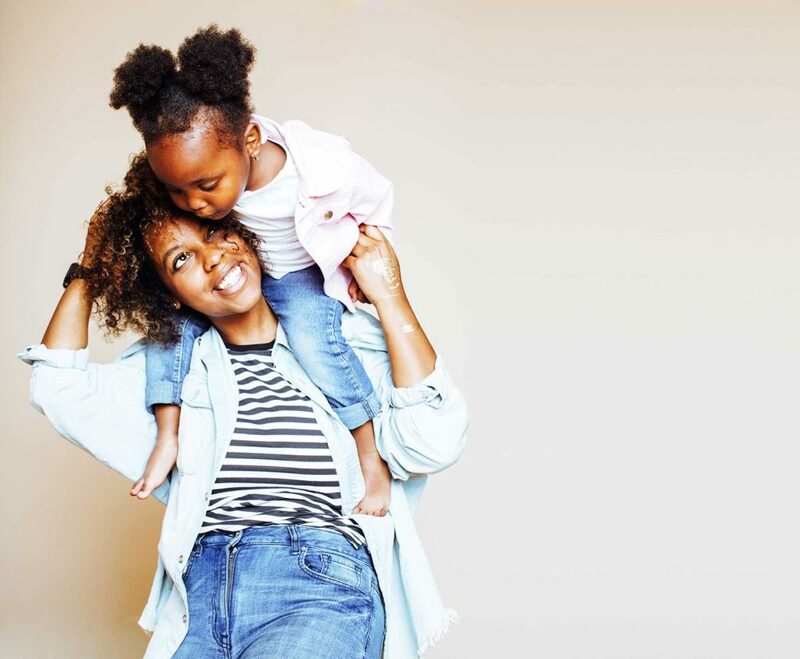 Parents will keep returning to this book for its clear explanations, wise counsel, and practical tips for managing every issue you can think of related to raising kids whose parents live apart." 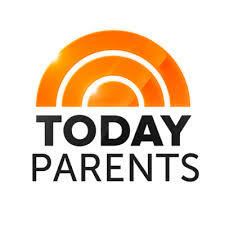 “The most comprehensive and thoughtful book on parenting I have seen. Whether you are just thinking about separating or have been divorced for years, this book is chock full of essential information to help you get it right with your children." - M. Marcy Jones, J.D. “Christina McGhee’s knowledge and practical advice is amazing. This is the perfect resource for anyone coping with divorce."